Consensus is the deal is driven by Permian and LNG. Anadarko was a steal because of its midstream. 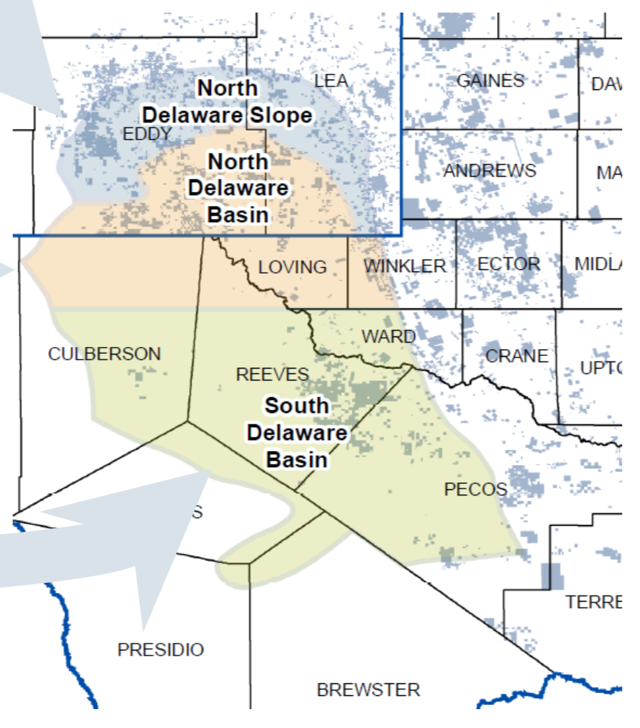 Occidental Petroleum reportedly offered a premium. 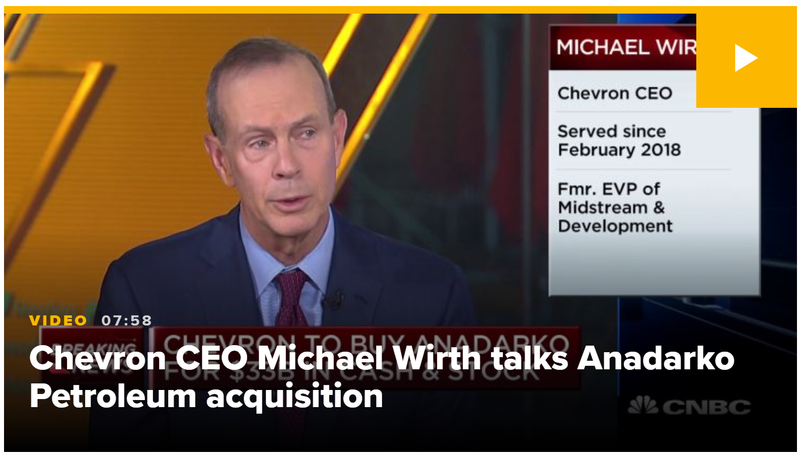 Chevron (CVX) is buying Anadarko (APC) for $33 billion in cash and stock, a number that expands to $50 billion including debt it will assume. News reports, analysts and Chevron's CEO are focusing on Anadarko's Permian and LNG assets, which expand and high-grade Chevron's portfolio. 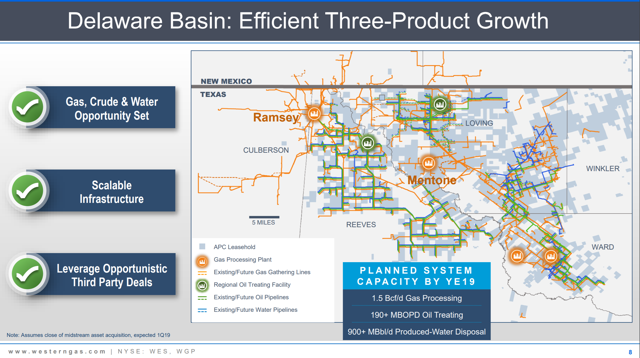 However, there is a "hidden asset" that makes the deal a bargain: Anadarko's ownership of the majority of a midstream business (WES), worth almost $10 billion. 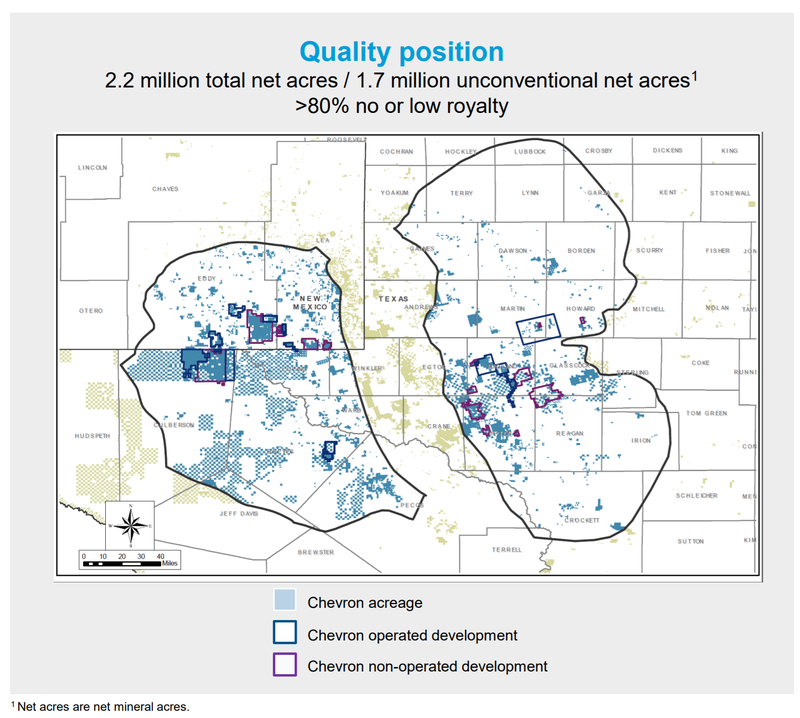 The bargain Chevron is getting is evidenced by Occidental's (OXY) $70 offer per share for Anadarko which was rejected, despite a $5 per share premium to Chevron's $65 per share offer. OXY stock is now down two days in a row, with the market possibly starting to price in a higher bid. First the math, which isn't too complex and then pictures which show it and tie it together. 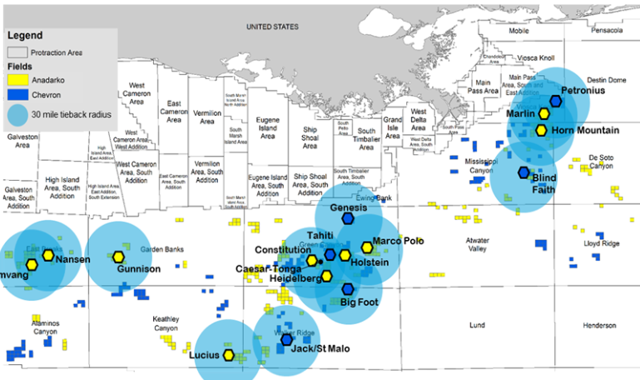 Anadarko is being bought for a headline number of 6.8x EV/EBITDA on a consolidated basis. However, WES is trading at 12.5x EV/EBITDA, and Anadarko owns 55% of WES. 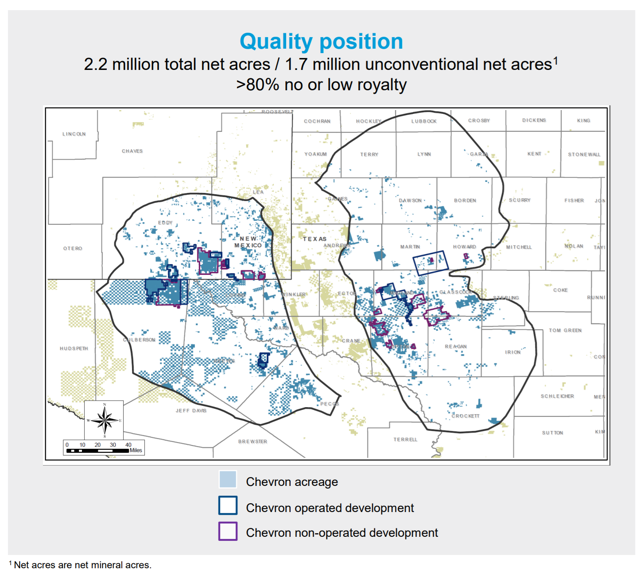 Netting down Anadarko's ownership of WES and its share of WES's EBITDA and debt, Chevron is getting Anadarko for 5.6x. Supporting details below. Unsurprisingly, OXY was interested in this deal, and it was accretive to them to offer 7.7% more. 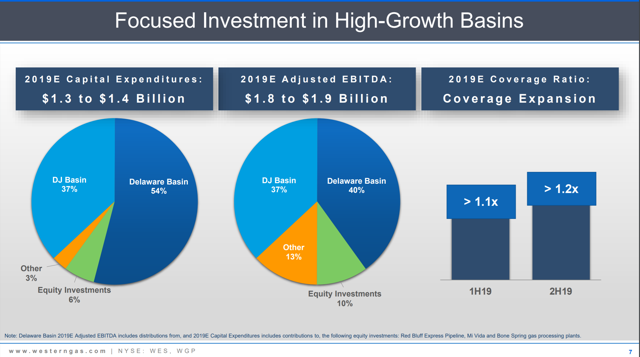 WES, with a $15.8 billion market cap and ~$6.8 billion of debt (pro forma for a simplification transaction, Q1 financials yet aren't out), trades at over 20x trailing EV/EBTIDA and about 12.5x guided 2019 EV/EBITDA. 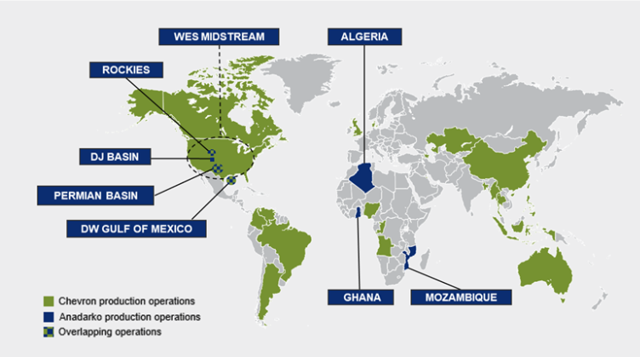 Anadarko owns 55% of WES, so its share is $8.69 billion of market cap and $3.74 billion of debt, totaling $12.44 billion, while its share of the guided $1.85 billion of EBITDA is $1.02 billion. Incidentally, the $50 billion total transaction value number frequently cited including by Chevron seems to include consolidated debt for WES of $4.8 billion, which is misleading both because APC isn't responsible for all of this debt AND because WES's pro forma debt number is $6.8 billion not $4.8 billion - basically ignoring the balance sheet impact of WES's consolidation, which closed in Q1. As a friend likes to say: "people will do anything to avoid reading a 10-k". But for this analysis, I just deduct the 55% share of WES Market cap and debt and ebitda, leaving APC with $24.31 billion of market cap and $11.26 billion of debt, while only deducting $1.02 billion of EBITDA. 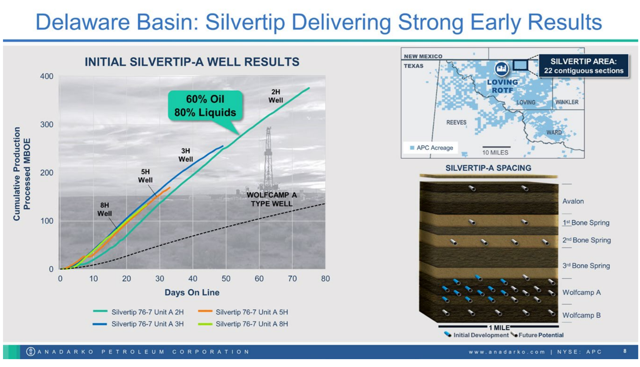 This drops APC EBITDA from $7.35 to $6.33 billion, and results in a net EV/EBITDA multiple of 5.62x. 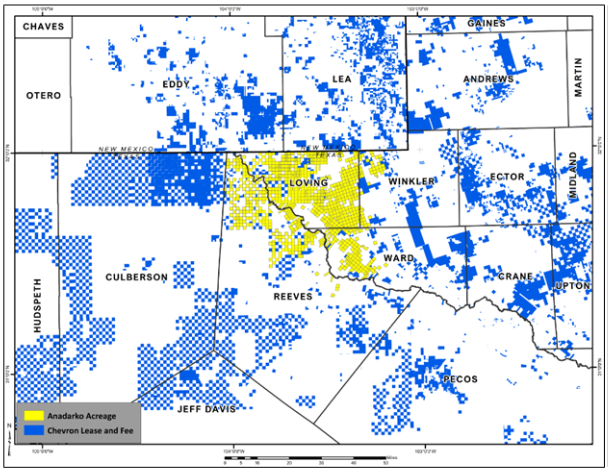 Here is a map of Anadarko's 400,000 net DJ Basin acres and a core Niobrara shale position in Colorado, with reduced regulatory uncertainty post election and regulation. 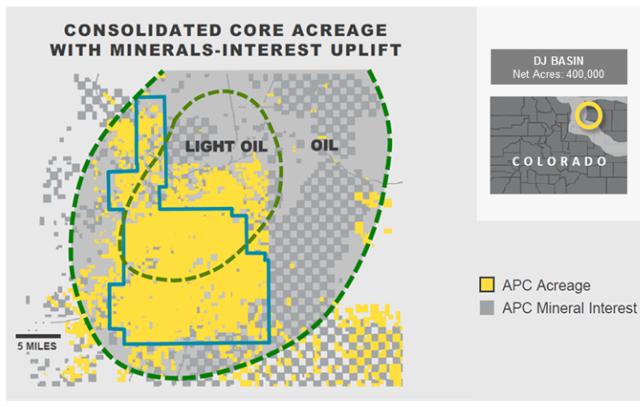 This analysis is relevant not just for Anadarko, OXY and Chevron. Understanding consolidated balance sheets and cash flows is a key factor in properly valuing numerous businesses in oil and gas and other industries. I don't own shares of Anadarko, but wouldn't be surprised if a higher bid came in, from OXY or others. It is also reflective of the market's shift to preferring companies with a return of capital focus. Additional disclosure: Disclaimer: Opinions expressed herein by the author are not an investment recommendation and are not meant to be relied upon in investment decisions. The author is not acting in an investment adviser capacity. This is not an investment research report. The author's opinions expressed herein address only select aspects of potential investment in securities of the companies mentioned and cannot be a substitute for comprehensive investment analysis. Any analysis presented herein is illustrative in nature, limited in scope, based on an incomplete set of information, and has limitations to its accuracy. The author recommends that potential and existing investors conduct thorough investment research of their own, including detailed review of the companies' SEC filings, and consult a qualified investment adviser. The information upon which this material is based was obtained from sources believed to be reliable but has not been independently verified. Therefore, the author cannot guarantee its accuracy. Any opinions or estimates constitute the author's best judgment as of the date of publication and are subject to change without notice.